This is a revised version of a book first published in 1990, with colour illustrations, this time, of objects in the collection of the British Museum..
After introductory paragraphs looking at the development of royal names and titles, the bulk of the book is a chronological list of the principal rulers, including the royal cartouches. A biography is included for many of the entries, giving some basic historical information. Rameses II, for example, warrants twenty-three lines whereas Ay just one: “An elderly courtier who buried Tutankhamun and claimed the throne”. For many rulers we often know little more than the names, so this is not a book to find out more about the history of Egypt, but more about the way names and titles evolved and changed through the Dynastic period right through to Graeco- Roman times. For a revised book, and especially one produced by the British Museum, it is surprising and a little disappointing to find odd or incorrect images being used. The attractive cover features images that do not belong to pharaohs, there being two private coffins and one god, and yet two images appear of Rameses III. One would have thought that the Museum’s extensive collection could have provided more appropriate images. In the book, for example, the statue of a private individual called Amenemhat is identified as being King Amenemhat I. 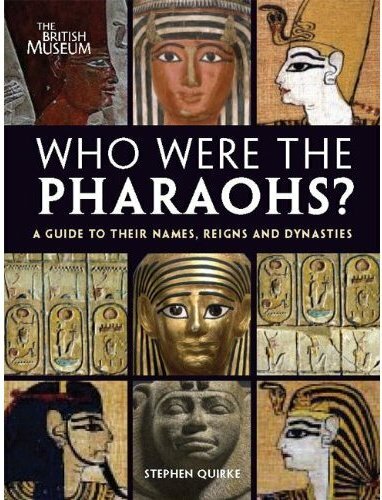 However, anyone interested in the history and development of royal names and titles, in being able to identify their cartouches, and who may have missed this book when it was first published, will find this book a useful quick reference and guide. Published by the British Museum Press, 2010. ISBN 978 0 7141 3143 6.
by André J. Veldmeijer et al. The discovery of Tutankhamun’s tomb by Howard Carter in 1922 is one of the most significant archaeological discoveries of all time and many of the contents of the tomb are familiar to us today. One group of objects that has been invariably overlooked, however, until now, is the large collection of shoes and sandals. Visitors to the Egyptian Museum in Cairo will see just a few examples on display. But most, often in a very fragile condition, have never been on show. In this splendid new book, all the footwear found in the tomb is analysed in detail for the first time since the discovery, using Carter’s records and Harry Burton’s excellent photographs along with the results of the author’s own detailed study and examination of the objects in the Museum. Several specialists contributed to the volume, discussing the different materials (gold, vegetable fibre, birch bark, glass and faience, leather, gemstones) that were used in the footwear. The author begins by describing where the footwear was found, using many of the Burton photos, and then describes the state of preservation and conservation of the items. The preservation of many of the pieces was not good. They were often made out of rawhide and the leather had perished, possibly because of the initial humidity in the tomb and/or in the chests which contained them. Other damage was caused by the way the footwear was packed in the tomb, often without much care. Conservation work at the time of the discovery helped, but it is also clear that many of the objects have continued to deteriorate in the eighty-eight years since the tomb was opened. All in all, this has made the study of the footwear, albeit long overdue, a difficult process. The bulk of the book is then devoted to a study of the individual pieces of footwear, and makes for absolutely fascinating reading. It is illustrated superbly with new photographs of the objects, line drawings showing details of construction and artist’s reconstructions. The catalogue begins with a detailed examination of the simple fibre sandals, then the more elaborate examples with marquetry veneer inlay and beadwork and gold decoration. There is a section on ‘open shoes’, and these, as reconstructed, are elaborate almost beyond description and are the ultimate in royal footwear. Many of the examples of the open shoes were in a very bad state of preservation, but it has been possible to determine their design and original appearance. Even in their present state, as the photographs demonstrate, their detail and richness is amazing. Chapters then follow looking at the range of materials used in the construction of footwear and how they were made. Again, excellent illustrations show, for example, how the elaborate goldwork was made and fixed to the footwear. 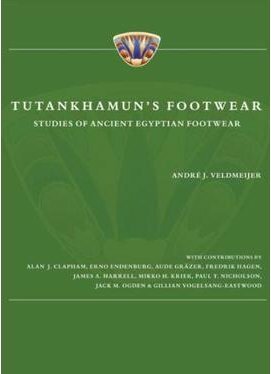 A chapter then looks at socks, an item of clothing not necessarily immediately associated with ancient Egypt, but many examples of which were found in Tutankhamun’s tomb. Interestingly it would seem that Carter identified some socks as gauntlets, but this is perhaps not surprising as there are no other comparable examples, nor any depictions in ancient Egyptian art, of sock-wearing. Tutankhamun’s footwear is then compared with other contemporary finds in order to be able to put it in a broader context. In particular the footwear from the tomb of Yuya and Tjuiu, the King’s great-grandparents, have been analysed for the first time. Although not as elaborate as the examples from Tutankhamun’s tomb, the other examples are often better preserved. Footwear in ancient Egyptian art is also examined. Interpretation is easier with knowledge of the actual surviving examples. The result, I have to say, is a remarkable and truly fascinating book, and one, perhaps to my surprise, I thoroughly enjoyed. It is a very readable book, even though it is a scholarly publication. It will be the definitive publication on the subject, of that I have no doubt, and will take its place in the ranks of recent detailed publications of groups of objects from Tutankhamun’s tomb, the majority of which have never been previously published. Published by Druk Ware, 2010. ISBN 978 90 78707 10 3. To coincide with the exhibition currently showing at the British Museum (mentioned in the last issue of ), The British Museum Press has published a number of titles on the subject. This is the large, definitive book published to accompany the exhibition, and is a catalogue of the papyri and objects in the exhibition. As it says on the cover, it is the first comprehensive book on the subject for over thirty years. 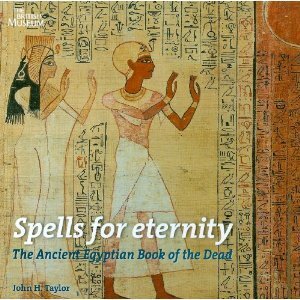 Introductory chapters look at the ancient Egyptians’ view of life and the afterlife, how they prepared for it and the evolution of the Book of the Dead. The main section looks at the journey the deceased had to make from one world to the next and how the Book of the Dead ensured that the deceased attained his or her afterlife. Final chapters look at how the Book of the Dead was made from papyrus, assembled in long rolls, and at how the artists worked on the sometimes remarkably detailed and delicate scenes. This book is beautifully and profusely illustrated with specially-commissioned photographs of the many papyri and objects in the exhibition, most, but not all, of which come from the Museum’s own collection. The text is clear and concise and thanks to the authors, includes the very latest research and ideas about the Book of the Dead. As in the exhibition itself, here the authors interpret the spells and painted scenes to show vividly the hopes and fears of the ancient Egyptians about the world they may encounter beyond death. This publication will become a major reference work for anyone wishing to begin, or continue the study of a fascinating subject, long after the exhibition has closed and most of the papyri are returned to the Museum storerooms. ISBN 978 0 7141 1989 2. This is a small book but it consists of a version of the whole of the papyrus of Hunefer, one of the best known papyri in the British Museum and some five and a half metres in length. Here the scale is reduced, but, even so, the pullout version of the whole papyrus is over one and a half metres in length, roughly a quarter of the size of the original. This is an excellent little publication, aimed at the younger reader. It is a shame, perhaps that a full-scale version was not produced for the larger readers! Sadly this is something, that, whilst it has been done in the past, no publisher has attempted in recent times. Perhaps it is time now for just such a publication, given the quality of photographic images now available. ISBN 978 0 7141 1994 6. 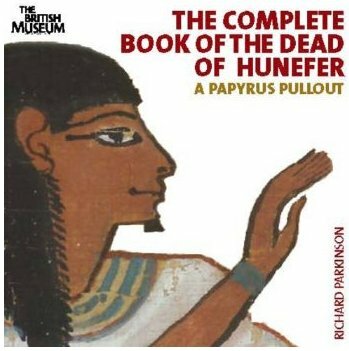 This book is also aimed at the younger reader and takes a more detailed view of the Papyrus of Hunefer. It puts Hunefer in the context of his time; it looks at the most important scenes and describes their importance and purpose. It is an excellent introduction to the subject, clearly and concisely written and superbly illustrated. 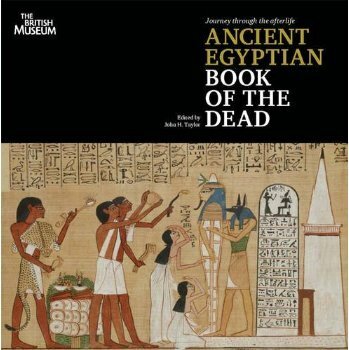 This fourth book on the subject of the Book of the Dead is another excellent publication. It is ideal for younger readers and also for those who might not want or need the detail contained in the first large publication mentioned above. The clear text and profuse illustrations provide an excellent summary of the information in the exhibition. Whilst the publication of these books is timed to coincide with the exhibition, they are all likely to be in print for a while and readers will be hard pressed to find better works on the subject. This new book is most welcome and timely, as research and study over the last decade or so has added much to our knowledge of the subject. The subject of mummies, the coffins that contained them and the funerary goods that accompanied the deceased to the tomb (including copies of the Book of the Dead) are all inextricably linked and should not be looked at in isolation. 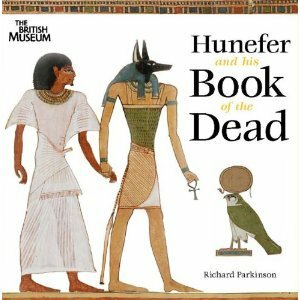 So, as the books on the Book of the Dead (above), include references to coffins, funerary goods and the deceased’s earthly body, this book looks at the subject of death and the afterlife from an opposite viewpoint, beginning with the mummy. This is an ideal introduction to the subject. Interestingly for those fascinated by mummies in particular, this book may disappoint for there are relatively few images of mummies, and indeed the section on mummies occupies only a quarter of the book. Here the mummy is seen, quite rightly, as part of a process and of a group of objects, which include coffins, amulets, other funerary goods and magic spells, all essential to enable the deceased to attain his or her afterlife. ISBN 978 0 7141 5058 1. 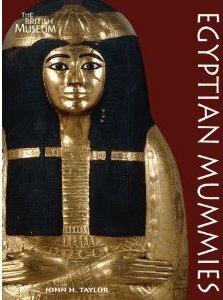 Having just extolled the virtues of publications that look at connected objects with a view to putting them in their cultural and historical context, here is a book specifically on ancient Egyptian coffins. The Scottish collection of coffins is particularly fine and comprehensive and publication is important to bring items to a wider audience and also to publish the latest research and ideas. This is a scholarly but very readable publication. 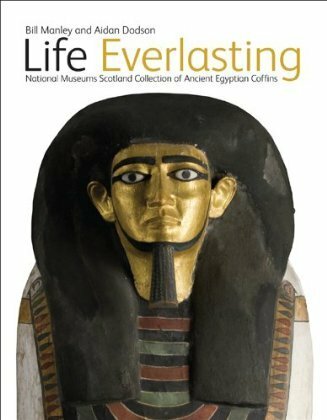 After an introductory chapter on the history of the collections, it provides images and detailed descriptions of all the coffins in the collection, which date from the Middle Kingdom right through to the Graeco- Roman Period (providing views of the coffins and details that often cannot be seen in museum displays). One superb Middle Kingdom example is a rare survivor, and information is also included on the Seventeenth Dynasty coffin of a queen from Qurna, that for many years had almost been overlooked in the collection. Published by National Museums Scotland, 2010. ISBN 978 1 905267 17 0. This is a special publication for children, to accompany the Exhibition of the same name, currently showing in Manchester and Cologne. 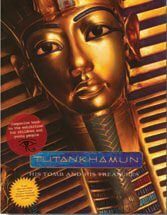 This is a lively publication packed with information about the discovery of the tomb and its contents and on the life and times of Tutankhamun. I especially like the “quotes” from some of the key players, as if someone had interviewed Tutankhamun, Horemheb and even one of the tomb robbers! This is a book that will appeal to the children who have been visiting the exhibition in their hundreds, but also to anyone who is just interested in the subject and who may be studying it at school. Published by Dieter Semmelmann, 2010. ISBN 978 3 9813010 5 2. Most visitors to Egypt will see not just the ancient monuments but a vibrant and fascinating country with a long and colourful history of two thousand years of development after the end of the pharaonic civilisation. 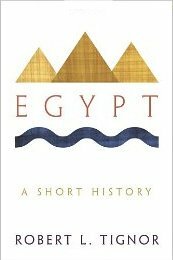 This ‘Short History’ covers the history of Egypt over five thousand years, right up to the present day. Approximately a third of the book is on the ancient history, which may be familiar to AE readers, but the recent history of the country is fascinating and results in the Egypt today that many love to visit. If you love Egypt, then this book is an excellent introduction to its multifaceted history and culture. Published by Princeton University Press, 2010. ISBN 978 0 691 14763 5. For anyone interested in military history, this is a fascinating book. The author looks at the swords that belonged to famous historical figures. 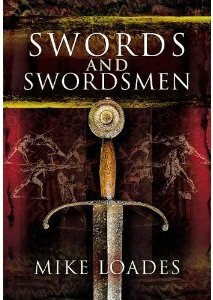 Using this as a framework, the book looks at the evolution of swords, how they were made, how they are regarded as art objects, but, often the most overlooked function of course, at how they were actually used and the lethal practicality of their design. 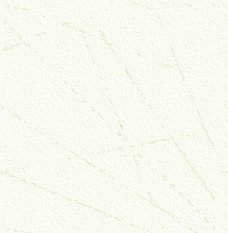 The author, who is an historical weapons expert, has arranged fight sequences for stage and screen, and this practical experience brings a unique perspective to the study of weapons. The book’s contents cover all periods from ancient Egypt to the late nineteenth century. Some of the famous names included are Henry V, Oliver Cromwell and George Washington. I am including a review here as the first chapter is on the swords of Tutankhamun (see a shortened version of this chapter in this issue of AE) and also on the sword of Alexander the Great. This is the first study I have seen on Tutankhamun’s swords, which often have warranted only a line or two in previous publications. Interestingly, the author identifies some of the many ‘walking sticks’ from Tutankhamun’s tomb as fighting sticks. The use of sticks for fighting is depicted on many tomb and temple scenes. In the case of the Tutankhamun examples, it would seem that they have lost their leather hand-guards (leather was not preserved well in the tomb). Well illustrated and written, this is a social and martial history all in one, with at least two chapters that will be of specific interest to AE readers, but whose other chapters are equally interesting and worth reading. Published by Pen and Sword Books, 2010. ISBN 978 1848841 33 8. This book looks at the history of the city of Old Cairo, using new archaeological evidence, much of which has been gathered over the last ten years, following a major project to lower the level of groundwater that was adversely affecting many of the monuments. This project was supported by the American Research Center in Egypt (ARCE) funded by USAID. 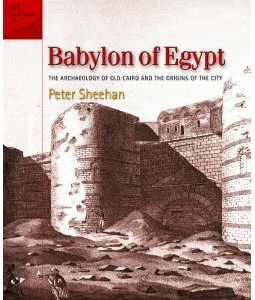 This area, now part of the more modern city of Cairo and much visited by tourists, was known in Roman times as ‘Babylon’, hence the title of this book. Occupied since the sixth century BC, in Roman times the area was dominated by a large fortress, a harbour and the massive stone walls of a canal linking the Nile to the Red Sea. This made the city the centre for much of the trade passing through northern Egypt and accounts for its importance and prosperity. Significant parts of the Roman fortress survive. Its walls have defined the enclave of Old Cairo, as the ancient walls now lie under, or are part of, the many later buildings in the area. Excavations have added to our knowledge of the layout of the original fortress and also shown how, in mediaeval times, the area became the nucleus of the Arab city of al-Fustat. As visitors to the area will know, the Roman walls enclose some of the oldest Coptic churches in Egypt, an early synagogue and also the recently enlarged Coptic Museum. Because of this, trips to ‘Old Cairo’ feature on many tours to Egypt. Using archive images and photos as well as modern photos and new line drawings and plans, this book reveals the complex history and use of the land over two thousand years. The location of Babylon on the banks of the Nile was important following centuries where the course of the Nile gradually changed. The Roman fortress was of great strategic importance and it is no surprise that the more modern city of Cairo developed immediately to the north of the Old City, which remained an important part of the defences of the whole area. The new excavations, and the publication of this excellent book, have added greatly to our knowledge of and understanding of this important part of the city. ISBN 978 977 146 299 2.